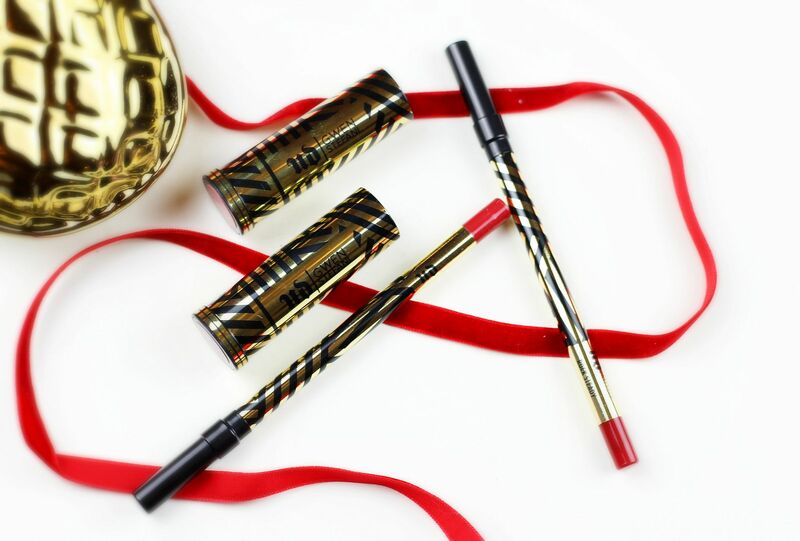 As if the palette wasn’t good enough (check my full post on that here), the second drop of the Urban Decay x Gwen Stefani collection has some seriously swoon-worthy lipsticks and a blush palette that is causing heart palpitations in the blogging world. Before my eyeshadow ban I was using the palette a lot as a perfect everyday go-to, so these new additions are all kinds of dreamy. Black and gold packaging (any excuse to use a gold pineapple prop! ), these aren’t my favourite packaging but they scream Gwen Stefani to me. 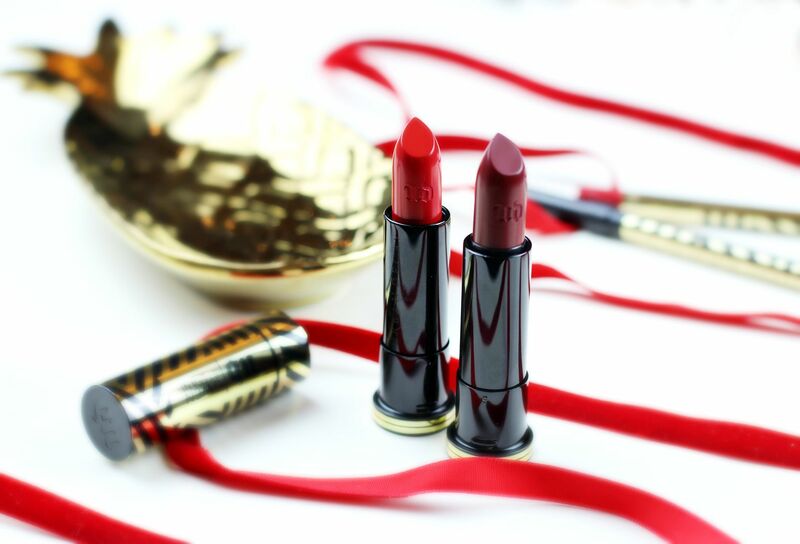 I have two lipsticks – Rock Steady and 714. Rock Steady is a deep wine shade with a healthy helping in there, in a really creamy finish. 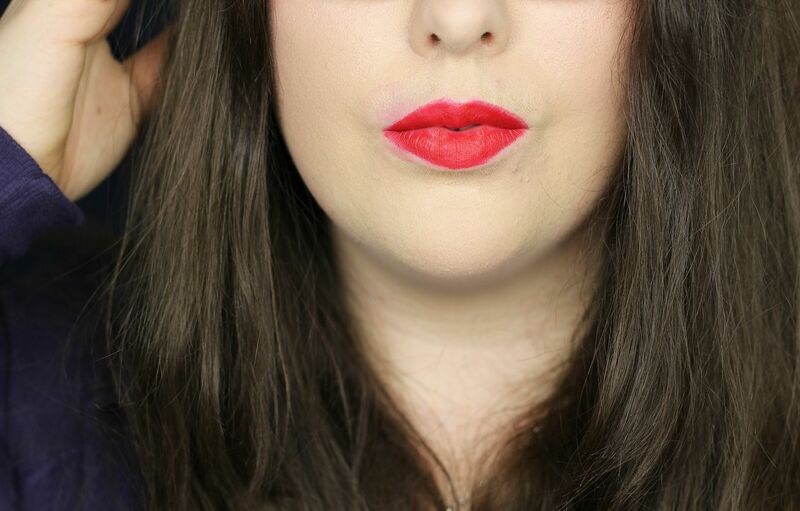 It dries down on the lips a little into something akin to a satin, but it’s not matte at all. I found the matching liner was more necessary with this one, to give it a little more grip. Gorgeous, really wearable little lipstick, and the photo really captures the softness and the sheen it has. 714 is like the lipstick I imagine Gwen wearing. Matte as hell. I like. It’s described as mega matte, which I agree with. It has slightly warm undertones, which make it lean a little orange and is what I would describe as a classic red. It’s really dry, so a good balm before hand is key and the lipstick is so dry that it has potential to drag a little so I find it best to sort of dab the colour on at first to warm it up a little. Incredibly long-lasting and basically amazing. 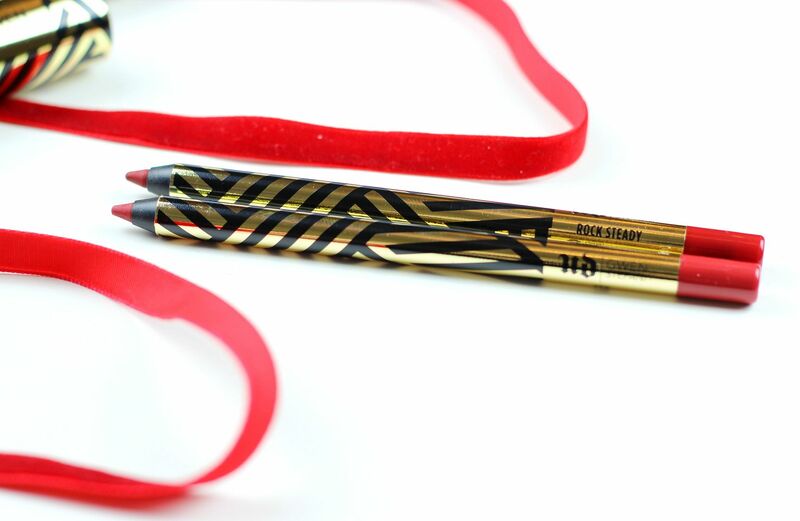 Both of the matching liners are really creamy, and remind me of the Charlotte Tilbury in terms of formula. Super impressive, and not drying at all. I love that they exactly match as well, so you have a little lip kit essentially, all ready for you. 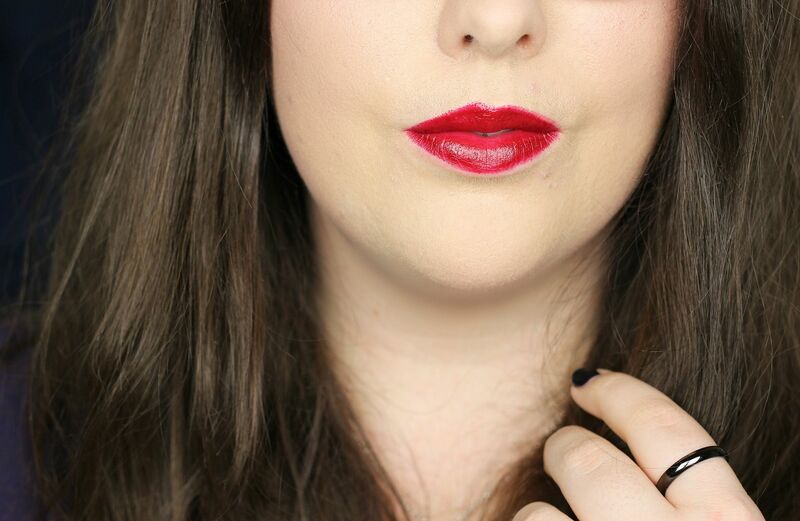 If you liked this post you might like this post on lipstick queen or this post on red lip 101.